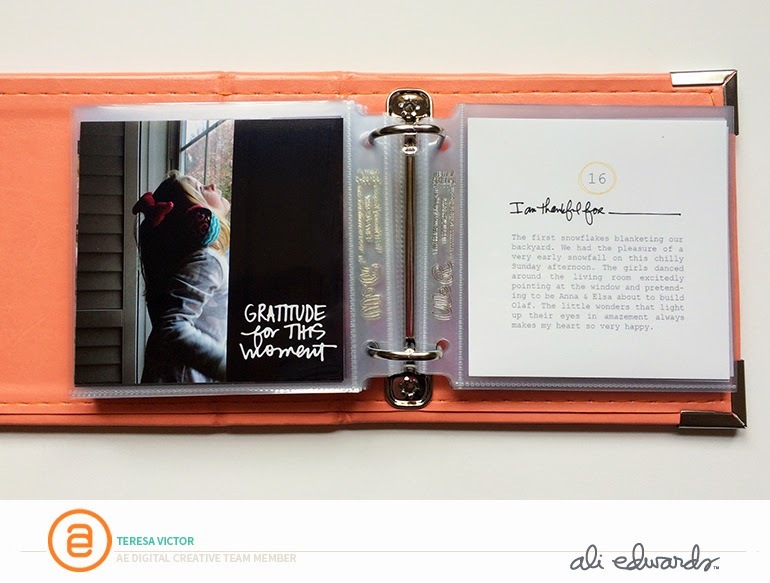 During November, the Ali Edwards Digital Creative Team set sail and I'm so excited to share my first mini album and layout with some of her most recent products. For the past several years, I've participated in "30 Days of Thanks" for the month of November. Some years I've only posted updates on Facebook and some years I've made time to get a little more crafty. 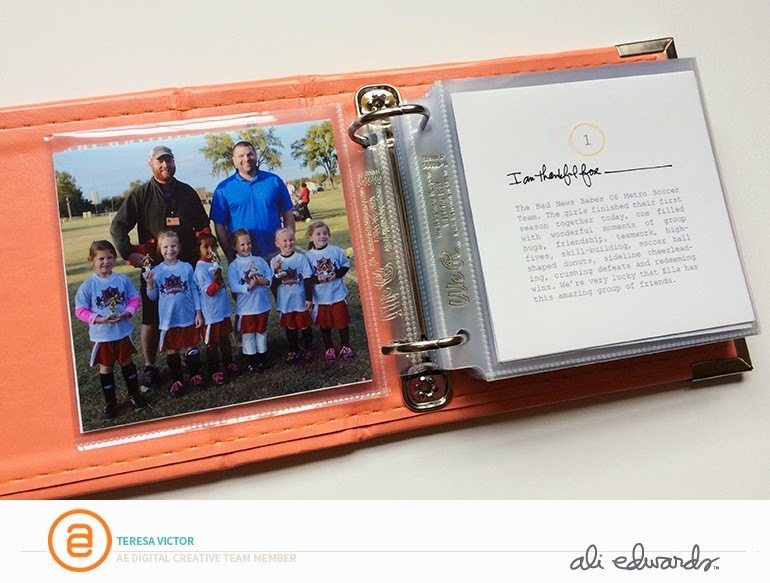 This year I decided to simply grab a We R Memory Keepers 4x4 Coral Instagram Album and print a photo to go along with what I was most thankful for that day. I'm not completely finished with the album (and I'm OK with that), but the photos + words are ready when I can carve out a few more hours in the day! I'll share more as soon as it's done. 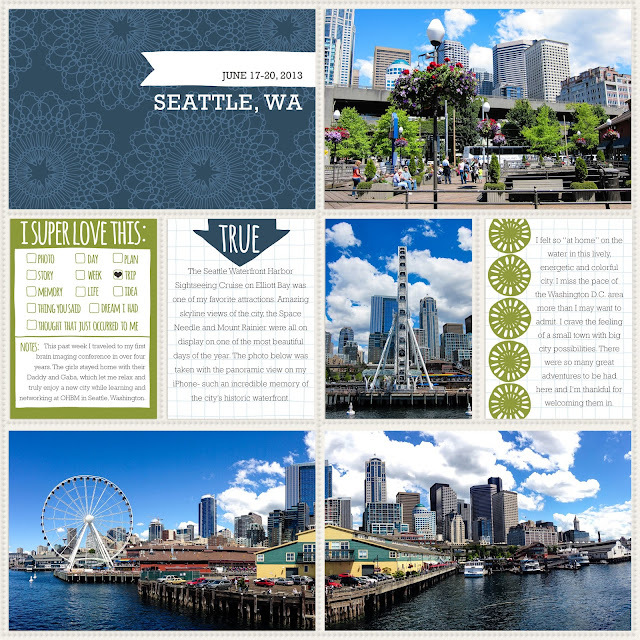 For today, here's a sampling of a few pages from the album using Ali's "Just Thankful" digital brushes. 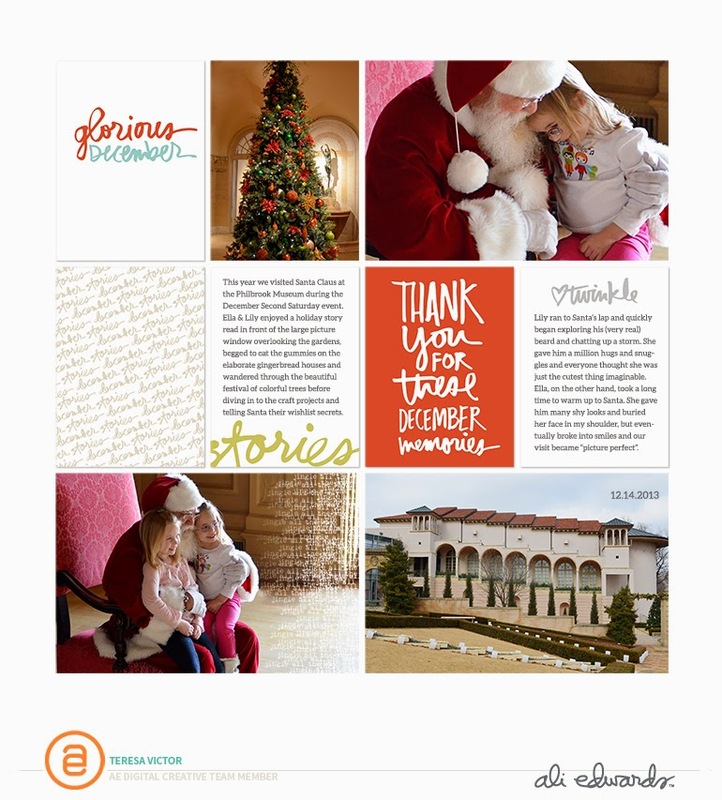 And just in time for a new round of Santa love next weekend, I've finally put these photos together from an impromptu visit last year at the Philbrook Museum using Ali's new December Stories 3x4 Cards and Merry & Bright Text Overlays. I love how her products make layouts come together so effortlessly. Thanks for stopping by to visit. I hope your December is starting off on the right foot and you're making some time to get your crafty fix on in the midst of the hustle bustle and document the season. I'm looking forward to a low-key weekend as one of my girls gets to feeling better. Crossing my fingers this involves a sliver of "me" time to write and edit photos. Wishing the same for you! I'm loving coral more than ever :) The instagram daily thanks book is such a great idea!